In the 2012 presidential elections in Senegal, the think tank IPAR led a process of public hearings with the candidates to promote the debate on the country’s economic development. Despite its central role in Senegal’s economy, agriculture and the rural issues that surround it have systematically been excluded from public debate (Grupo FARO, 2012). 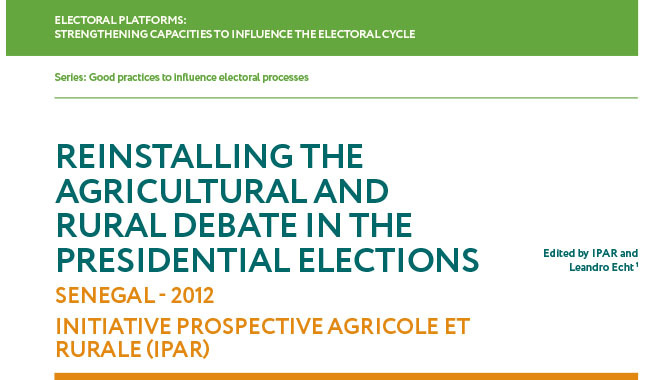 In the 2012 presidential elections, IPAR developed an initiative aimed at reinstalling these topics in the political debate. The multi-stakeholder platform for dialogue led by IPAR bring agricultural and rural issues at the core of the policy debate during the electoral process (Grupo FARO, 2012). The long process of identifying strategic policy issues and gather and produce data allowed to engage different stakeholders in a broad evidence-informed debate and discuss candidates’ programmes and proposals. 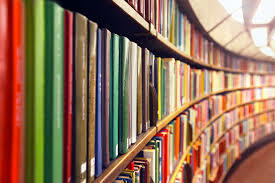 IPAR identified the citizenship’s need and demand for open discussions on the candidates’ proposals. Within this “favorable environment for policy influence”, IPAR “built its strategy on three key elements : planning, use of evidence based advocacy and partnership” (Grupo FARO, 2012, p. 41).